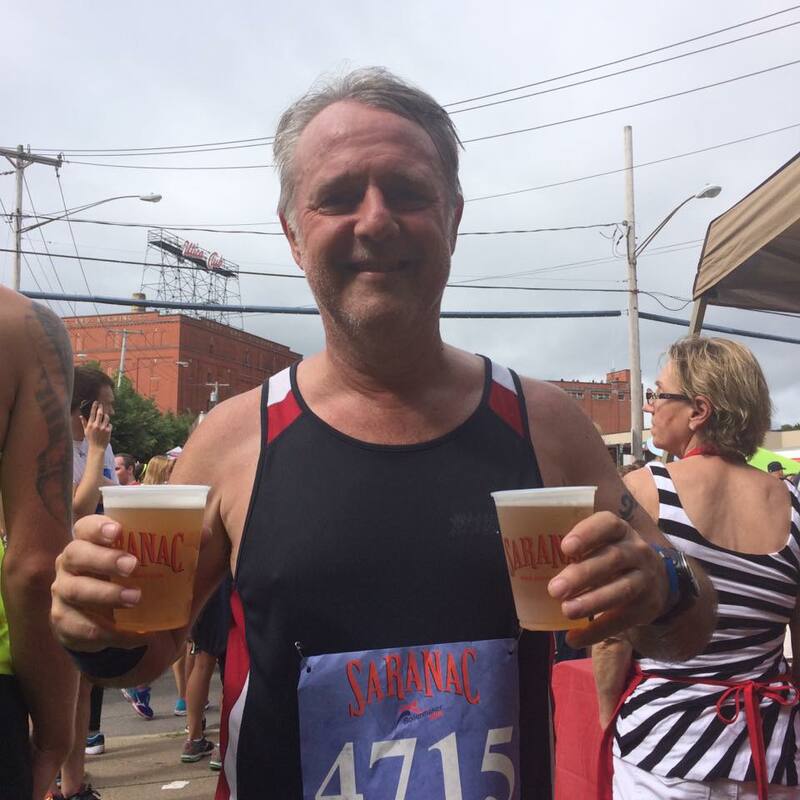 I don’t know for sure how Jamie Vardy felt around five PM on Saturday, December 5, 2015, but after running this year’s Boilermaker, I now have a pretty good idea. His team, Leicester City, had just demolished their opponents, Swansea, 3-0. The win put them back on top of the Premier League and on track for what would eventually become the historic championship that I wrote about in these pages earlier this year. The victory must have been bittersweet for Mr. Vardy. The previous week, he had scored the only Leicester goal in a 1-1 draw with Manchester United. It was his thirteenth goal in eleven matches, a streak that gave him the record for the most goals in consecutive games in Premier League history. But Riyad Mahrez was the only name to appear on the scoresheet that following Saturday. Jamie’s improbable scoring streak had come to an end. From what I know about him, I feel sure Jamie Vardy would have taken great delight in his teammate’s hat trick and celebrated the victory with his fellow Foxes. But I can’t help thinking there was a little part of him that felt some real disappointment that afternoon in South Wales. The upward trajectory of his season had temporarily ended, and now it was time for him to pause, take stock and begin again. Within minutes of crossing the finish line at this year’s Boilermaker, I arrived at a similar place in my own mind. I had run well, but my own streak of five consecutive PBs at the race had ended. Unlike Mr. Vardy, however, I was not in the middle of a history-making season. Quite the opposite, in fact, as Flat-Footed Fox fans will already know. 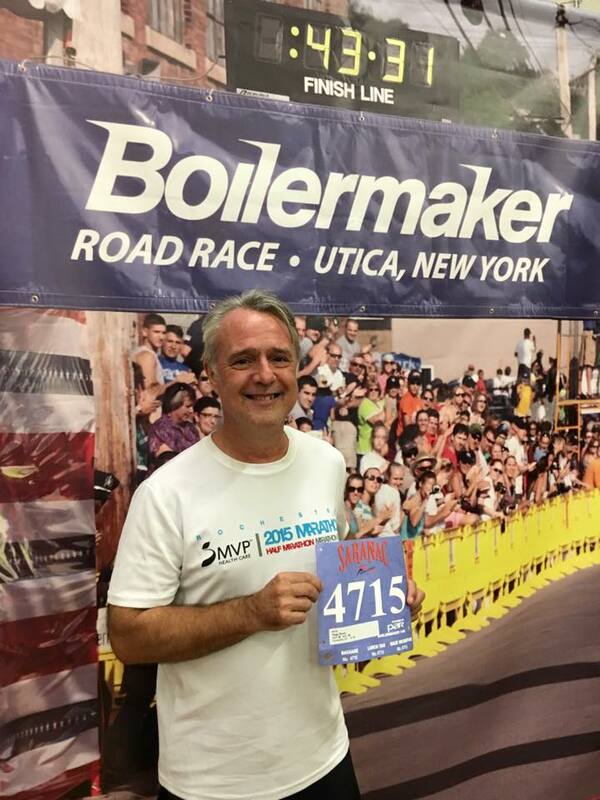 This year’s Boilermaker was, quite simply, one of those races for me. Everything up to gun time looked promising. I had prepared exactly the way that I had for the last six years, logging twenty-miles a week after Burlington with hill and speed training thrown in. Before the race, I fueled exactly the same way that I had for the last six years. The weather finally looked like it was going to cooperate, And I even had a place in a faster corral to show for my efforts from the previous year, giving me just a little more running room over the first mile than I had experienced in years gone by. But from the start, I felt ponderous and heavy. At the 5K split, I was at exactly twenty-eight minutes–a 9:00 min/mile pace that was OK, but not stellar. I knew I would speed up as the race went on, but I also knew that I was exerting too much effort for too little return. It was then, with the hardest section of the course just ahead, that my body talked my mind into stopping. It was the first time I had ever stopped at any point on the Boilermaker course. Keeping my disappointment in check, I pressed on with a strong ascent up the Golf Course Hill, and a swift descent had me feeling that maybe I could pull a proverbial rabbit out of my hat. But a second stop for water and a gel at the aid station at mile five cost me. By the time I got to Burrstone Road and the 10K split, my pace hadn’t picked up at all. Again, I kept my emotions under control, because I could feel I was finally starting to run strong. In fact, by the time I started the Champlin Avenue hill downhill, I was more like my old self, hitting an effortless 8:50 min/mile pace. The long slog along Whitesboro Street came and went without incident, and as I descended down Court Street and over the finish line knowing that I wouldn’t PR or even break eighty minutes and keep my place in the advanced corral next year, I was not in the least bit disappointed. Because I had run the best race I could. The streak had ended, but I had not been defeated. I had kept everything together, I had finished and I was stronger, mentally and physically, than I was eighty-four minutes earlier at the start line. And, as I said to Tessa at the postrace party, somewhere on the course I began to feel the first stirrings of a renewed hunger for running success. And that was more than worth drinking to. This week, I began training for my next marathon, a much-anticipated return to Washington DC this fall to run my second Marine Corps. I began with a crappy four-miler on Tuesday and a fast and strong six-miler on Friday. Go figure. Things will not change overnight. I know that. But they will change. This entry was posted in The Flat-Footed Fox and tagged Jamie Vardy, Leicester City, long-distance running, Marine Corps Marathon, Riyad Mahrez, Utica Boilermaker. Bookmark the permalink.